SINCE IT FIRST OPENED ITS DOORS, RIVERSIDE THEATRES HAS BEEN A VENUE FOR HIRE AS WELL AS A PRESENTER OF PROFESSIONAL PERFORMING ARTS PROGRAMMING. MEET THREE OF OUR HIRERS. The diversity of Riverside’s program is its strength, making it the centrepiece of performing arts culture in Parramatta and Western Sydney. Built as a gift to people of the region in 1988, it has always been an important place for gathering and connecting communities through culture and the arts. Every week is different from the last at Riverside. With well over 1000 events and almost 200,000 people through the doors annually, the foyer can be a sea of saris or suits one day, a gossipy gaggle of school children or seniors the next, dance school parents, literary lovers or film festival fans. The foyer is always buzzing with a cross section of people from the local area and beyond attending an exciting event often produced by hirers of the venue. An Australian arts organisation based at The Elephant House in Homebush, Lingalayam nurtures the appreciation and knowledge of Indian culture including dance, live music and text. Using the ancient dance forms of Bharatha Natyam and Kuchipudi, the company is directed by legendary guru – dancer, choreographer and teacher – Anandavalli. A child prodigy who was said to have “been born with bells on her feet”. Valli (as her friends call her) had her Arangetram (debut public performance for Indian dance) at just nine years of age and was touring Europe three years later. She moved to Australia in 1984, and has continued to work internationally both as a solo performer and collaborating with other artists, creating work locally and overseas. A career spanning five decades, Valli has inspired a new generation of dancers as a teacher. In 2002, she was awarded a Fellowship by the Dance Board of the Australia Council for the Arts which allowed her to further study her chosen dance forms, as well as research the ancient scripts of South India. 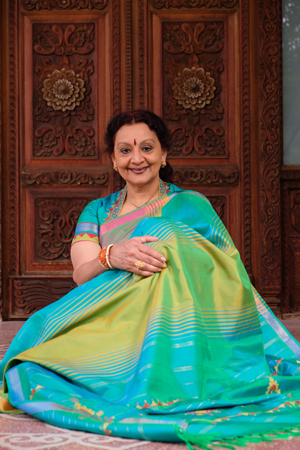 Although now retired from performing herself, Anandavalli continues to choreograph and direct work for Lingalayam including the upcoming production Sanchari, an innovative collection of short works which you can see on Saturday 16 June at 7pm in our Lennox Theatre. The Cumberland Gang Show has performed at Riverside almost every year of its 30-year history. It has seen generations of family members involved in Scouting participate in the creation of an annual musical comedy family theatre show for public performance. Thousands of hours of preparation go into making the two-hour spectacle through careful planning, set and costume making, and rehearsals. With a strong emphasis on teamwork and no stars as such, over 150 locals get involved each year in this Scouting movement tradition that dates back to 1932 in London. Created originally by Broadway and West End theatre choreographer and producer, Ralph Reader, Gang Shows are now performed all over the world. The Cumberland Gang Show was first performed in 1969 in Ryde, moving to Marsden High School a few years later when The Guides movement also got involved and then in 1988 to Riverside Theatres. It continues to be a positive learning experience for the young people involved. “Riverside is at the heart of our demographic which is Parramatta centred. It’s not just our home, it’s been a major player in our success as we grew in audience numbers,” says Karina Wardle, part of the team who put together Gang Show each year. Performing each July school holidays, Gang Show has become an important part of the calendar of hirer presentations at Riverside, as has the 40 or so dance and performing arts school concerts in November and December. Cumberland Gang Show 2018 is called Feel the Beat and you won’t want to miss it from July 13 – 21 in our Riverside Theatre. When Sport for Jove Theatre Company burst onto the Sydney theatre scene just under 10 years ago, they immediately made an impact. An independent company based in Western Sydney, headed by Artistic Director Damien Ryan with a genuine passion for Shakespeare. Things began small but quickly grew into a thriving theatrical force. The company has been performing for general public and schools audiences at Riverside since 2013, providing a real impact on young people and their appreciation of Shakespeare. “It was an excellent performance and the students were very positive about the play,” says one English Teacher. “Brilliant…they came back with a renewed love for the play,” said another. Over the years Sport for Jove has presented Shakespeare’s The Merchant of Venice, Twelfth Night, The Taming of Shrew, Hamlet and Romeo and Juliet as well as dabbling in productions from other playwrights including Antigone by Sophocles, The Crucible by Arthur Miller and Away by Michael Gow. 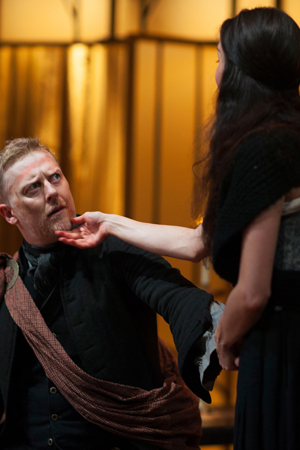 Sport for Jove return this season with their repertory production of Shakespeare’s Macbeth (June 20 – 23) and a new production of A Midsummer Night’s Dream (June 14 – 16) directed by Damien Ryan. For more information about the different spaces and venue hire visit riversideparramatta.com.au/venues.